The beginning seed saver will have great success when saving seed harvested from vegetables where seeds mature and dry on the plant. The distance required between varieties is ten (10) feet therefore the possibility for cross pollination is very slight. 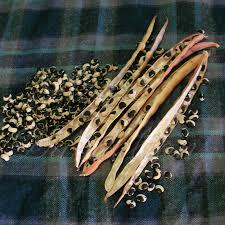 Beans (green, dry/fresh shell out beans, lima beans, long beans, soybeans, tepary beans, Asian winged beans, runner beans, fava beans), cowpeas/southern peas (Crowder, black-eyed, purple hull, field peas) and peas (garden, snow and sugar snap peas) are the simplest seeds to save!! 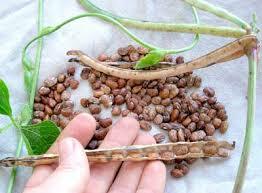 Beans require 10 – 20 feet spacing between varieties to prevent cross pollination as they are self pollinating. 10 plants are needed for sufficient seed quantities and seed diversity (color, texture, flavor and acclimated to your garden). You have now grown seed for your particular growing needs. No one else will have this unique seed. 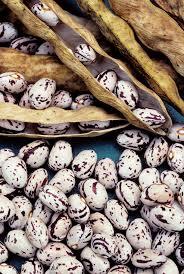 Harvest when the pods are dry on the plant, shell/thresh the pods and save the seeds. Seeds may be saved in paper envelopes, placed in a zip lock bag with a desiccant and placed in a lidded glass jar in the freezer. Remember to write the name of the seed and date on the envelope. If harvested and dried correctly the seed will be viable 3 to 4 years. 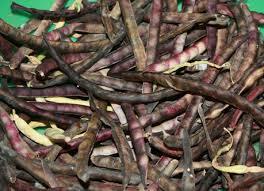 Cowpeas require 10 – 20 feet spacing between varieties to prevent cross pollination as they are self pollinating. Ten (10) plants are needed for sufficient seed and seed diversity (color, texture, flavor and acclimated to your garden). 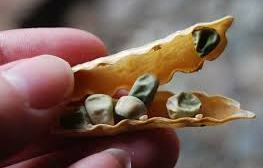 You will posses seed unique to your area and it is one- of- a- kind. No one else can claim your seed as theirs. 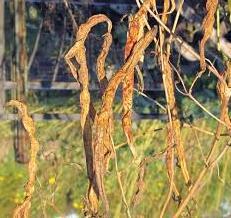 Harvest when pods have dried on the plant, shell/thresh the pods and save the dried seeds. Make sure the seeds are completely dried (should feel like pebbles/rock) and placed in a paper envelope with the name of the seed and date stored. Place the envelope in a zip lock bag with a desiccant and seal in a lidded glass jar. Store the jar in a freezer until the seed is needed. If harvested and dried correctly the seed will be viable for 3 to 4 years. 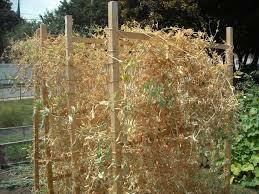 Peas require 10 – 20 feet spacing between varieties to prevent cross pollination as peas are self pollinating. Ten (10) plants are needed for sufficient seed quantities and seed diversity (color, texture, flavor and acclimated to your garden). Your saved seed is now unique to your garden and region. No one else will have this one-of-a-kind seed. Harvest when the pods have dried on the plant, shell/thresh the pods and save the dried seeds. Make sure the seeds are completely dried (like pebbles or stone) and place in a paper envelope with the seed name and date of storage. Place the envelope in a zip lock bag with a desiccant and seal in a lidded glass jar. Store the glass jar in the freezer until the seed is needed. 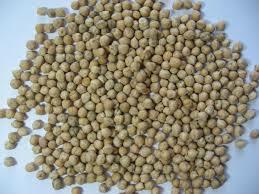 If the seed has been harvested and dried correctly the seed will be viable for 3 to 4 years. Remember only harvest dried seed pods from disease-free plants. 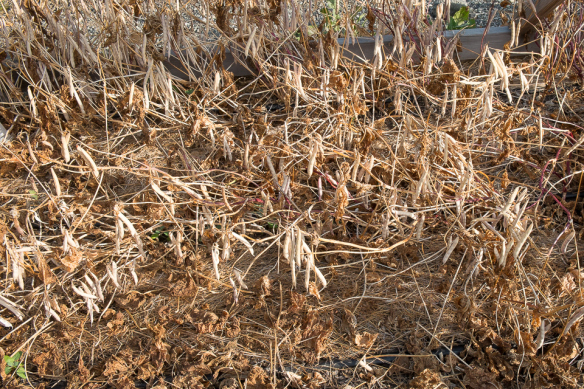 Dried seed from diseased plants will infect healthy seed and may cause crop failure in future gardening projects. Tomatoes need a special process prior to drying. Stay tuned to learn the how-to’s.